Registering signifies your agreement to the following terms and conditions of participation in the Palm Springs Photo Festival (hereinafter the PSPF). 1). Attendees with Disabilities: Some of the workshop programs offered at the PSPF may involve location photographing. The PSPF cannot guarantee nor does it warrant that these locations will be accessible to disabled persons. The PSPF cannot be responsible for providing transportation nor access at these location photography field trips for people with disabilities. The PSPF cannot guarantee nor does it warrant that disabled persons will have complete access to the grounds of the Korakia Pensione where the festival takes place, the Hyatt Regency Suites where Seminars are presented nor the Palm Springs Art Museum where Symposiums, Evening Presentations and Parties are presented. 2). Basic Cost. The Basic Cost of the Workshop can be found on our registration site, but can be changed at any point prior to the festival at the PSPF organizer’s discretion. Any other expenses incurred by you, including, without limitation, transportation, lodging and hotel upgrades, trip extensions, tips and items of a personal nature such as laundry, alcoholic beverages, passport and visa fees, insurance and foreign port taxes, are not included in the Basic Cost and are your sole responsibility. 3). Travel Documentation. You are responsible for ensuring that you have the proper travel documents. You should check with the respective consulate(s) or visa agencies to determine whether visas are required for your stay in the United States. Valid passports are required for international travel. 4). Insurance. Unless you are already covered under an existing policy, we recommend that you purchase travel insurance. Such insurance often provides coverage for losses suffered in the event of trip cancellation and interruption, travel delay, loss of baggage and travel documents, baggage delay, medical emergencies, camera theft and accidental death etc. If the tour operator handling the Workshop offers insurance, we will provide you with information about it and instructions about how to purchase a policy. It is, however, your responsibility to purchase the policy (which is not part of the Basic Cost of the Workshop) and understand the scope of coverage. We do not assume any obligations or liabilities in connection with travel insurance. 5). Travel Risks. You understand that there are factors that may impact the Workshop that are beyond our reasonable control. For example, certain Workshop destinations may involve travel to remote areas or areas where the standards of quality and hygiene, transportation, methods of conducting business, medical services, telecommunications services, etc. are substandard to what you might expect in your home. It is your responsibility to check with your own health care provider for any inoculations or other certificates that may be needed to travel to the Workshop destinations. You fully accept the risks associated with travel in such areas and agree to hold us harmless from and against any and all liability in connection therewith. 6). Third-Party Services. You understand that we rely upon third party tour organizers, transportation providers, van and vehicle drivers, hotel operators and food providers to provide the services associated with the Workshops. All tickets, coupons, reservations, etc. are subject to the terms and conditions and other policies of the third-party service provider. We cannot control the actions of such third-parties and do not assume responsibility for unanticipated events that may occur, including, without limitation, travel delays, lost luggage, cancellations, overbooking, and other reservation errors. You should build some flexibility into your schedule in case we need to extend the length of the Workshop or make other reasonable scheduling changes to accommodate unanticipated events such as travel delays, lost luggage, cancellations, overbooking, illness to instructor and other reservation errors. You will not be entitled to a refund in the event of unanticipated events requiring scheduling changes. You further agree to hold us harmless from and against any liability for injury, death, damage, loss, accident, delay or irregularity that might occur in connection with any services provided by third parties. 7). Cancellations. If you decide to cancel your program prior to April 7th an administrative fee of $35 will be charged. If you are enrolled in a workshop, the cancellation fee is $100. After April 7th, all reservations are final and not refundable. In most cases, workshop shall have no more than 16 students. If a minimum of six (6) students do not sign up, the workshop may be canceled and a choice of the remaining workshops will be offered to registrants. 8). Release and Waiver of Liability. In consideration of your participation in the Palm Springs Photo Festival, you promise not to sue and hereby release Palm Springs Photo Festival, Inc, all instructors participating in the Workshops, and their respective parents, subsidiaries, affiliates, directors, officers, employees, agents or representatives (Releases) from and against any and all liability to you, your personal representatives, assigns, heirs and next of kin for any loss or damages and any claims or demands therefore arising in connection with your participation in the Workshop, including, without limitation, those arising out of injury to your person or property or resulting in your death. You further agree that the foregoing Release and Waiver of Liability is intended to be as broad and inclusive as is permitted by law and that if any portion hereof is held invalid, it is agreed that the balance shall continue in full legal force and effect. 9). Photography. You hereby grant us the following right in the photography taken by you during the Workshop if you personally submit images to the representatives of the Palm Springs Photo Festival either during the workshop, by mail or electronically: the right to use and reuse the photography in Palm Springs Photo Festival related materials and on Web sites operated under the Palm Springs Photo Festival. You also grant us the right to permit selected third parties to use the photography in both editorial and promotional context. You further promise that the photography you take during the Workshop will be of your own creation and will not be libelous or obscene or otherwise violate or infringe the rights of any third party. If we publish your photography, you shall receive a credit, the placement, size and typeface of which shall be in our sole discretion. 10). Use of Name and Likeness. 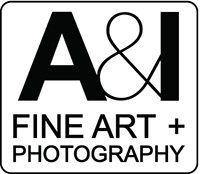 You also grant us the right to use your name and likeness in connection with the advertising and promotion of Palm Springs Photo Festival if you appear in photographs taken while attending. Possible purposes include slide shows to promote the event. 11). Camera, computers. You must bring your own camera equipment and laptop computer with adapters for standard VGA or DVI cables in order to connect to projectors in workshop classes. Digital cameras (preferable), 35mm, medium and large format film cameras are appropriate (film not supplied nor developed by the festival or sponsors). 12). Course Cancellation. On occasion, it may be necessary to cancel certain workshops, seminars and symposia due to circumstances beyond our control. In these instances, the Palm Springs Photo Festival will enroll you in a class of similar content and intent. If none is available, a refund will be made within 45 days of the close of the festival. Also, we do not take responsibility for non-refundable airline tickets, so please buy a refundable ticket if you are coming from outside of the Los Angeles, Orange County or San Diego areas. 13). Instructor Replacement: In the event that a listed instructor is unable to participate because of a change in his or her professional schedule, we will replace the instructor with someone of equal or similar credentials and make sure to let you know. If it is not possible to find a suitable replacement in due time before the course is to begin, the Palm Springs Photo Festival will enroll you in a class of similar content and intent. If none is available, a refund will be made within 45 days of the close of the festival. 14). Portfolio Reviews: Portfolio Reviews are available by pre-registration and selection. Attendees are responsible to arrive 15 minutes before their selected review to guarantee their session. At five minutes before the review is to begin, if attendee is not present, the festival will reallocate the review to another attendee. No refunds will be given to those not present at least five minutes before the start of their chosen review session. Reviewers listed on our site or in our program are subject to change. 15). Model Fees: Workshops requiring models will have a higher fee than those not requiring models. Depending on the number of models required, the fee is adjusted. These fees are nominal. Models are not required to sign releases for photographers in workshops. Photographers can discuss the subject directly with the models and make arrangements of mutual benefit to both, after the conclusion of the workshop program. No photographs of models made during workshops may be published in any form or any media without the express written permission of the model unless a release has been obtained by the photographer. PSPF cannot advise students nor models / subjects as to the legality of needing signed releases. 16). Miscellaneous. You agree that no oral representations, statements or other inducements apart from the foregoing written above have been made. This Agreement shall be governed by the laws of the United States applicable to contracts entered into and performed entirely therein. This Agreement sets forth our entire understanding and may not be modified except in a writing signed by you and us.